Until recently, lung cancer diagnosis and determining a patient’s stage of cancer relied on CT and PET scans, as well as a biopsy, which often required an invasive operation. 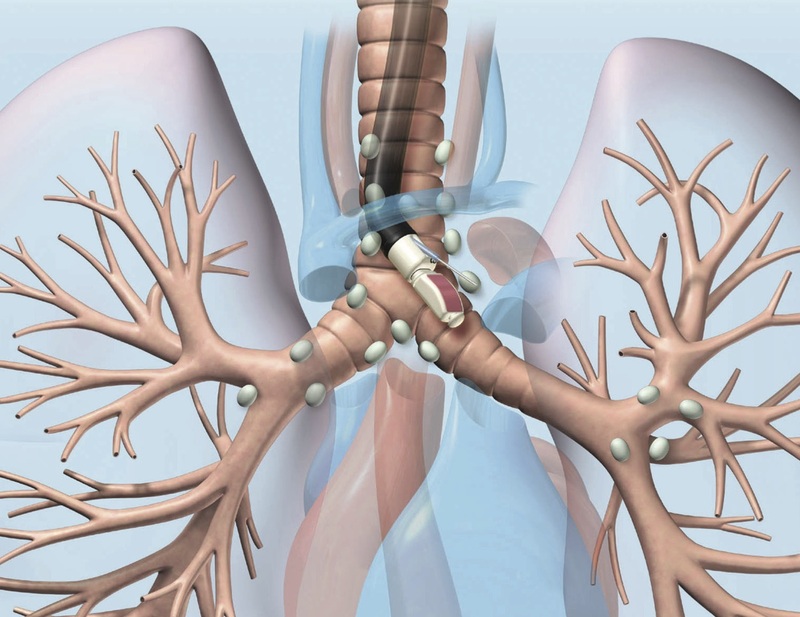 Interventional Pulmonologist Matt Salamonsen from Murdoch Chest says the introduction of Endobronchial Ultrasound (EBUS) has revolutionised the field of respiratory medicine. “EBUS is a non-surgical procedure used to diagnose lung cancer, infections, and other diseases causing enlarged lymph nodes (glands) in the chest,” Dr Salamonsen says. It is critical to stage cancer accurately by identifying which lymph nodes (glands) in the chest are infiltrated with tumour, as this directs appropriate treatment between curative surgery and palliative chemoradiotherapy. “In some situations, CT and PET scan have a 20 per cent false positive and false negative rate for detecting lymph node metastases,” Dr Salamonsen says. Aside from lung cancer, EBUS is also invaluable in the setting of other cancers or lymphoma involving the mediastinum, or non-malignant causes of mediastinal lymphadenopathy such as infections and sarcoidosis. Dr Salamonsen also emphasises the need for a multidisciplinary team approach to patient care.